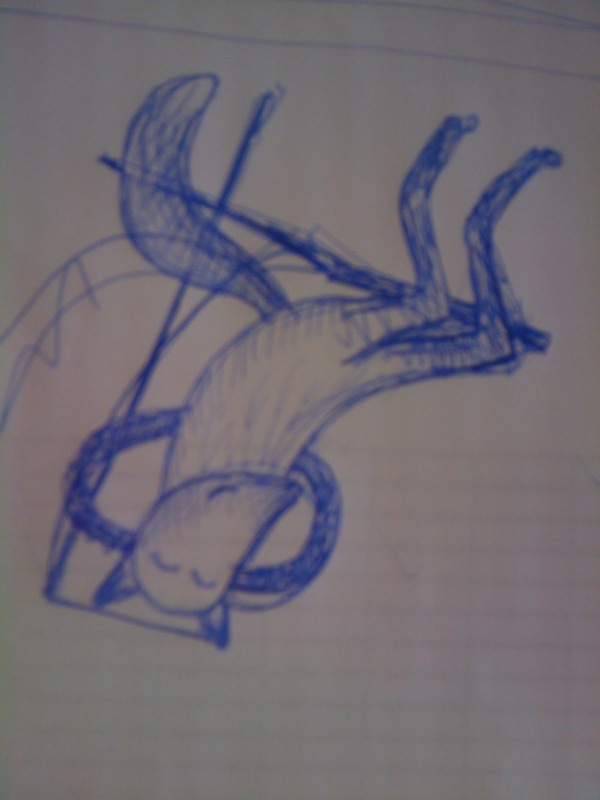 evilflea: The Sunbathing Fox - Painting! And T-Shirts! We have a number of foxes living in the overgrown back gardens behind our flat. All summer they just seemed to spend their time sunbathing and playing in the sun. Nearly messed the fox up entirely, but the good thing about paint is that you can go over it again and again and again and again. Quite pleased with the end result now, though there are a few things (and smudgy bits) I'd still like to change. And here, yes here, are the t-shirts and stuff you can buy!